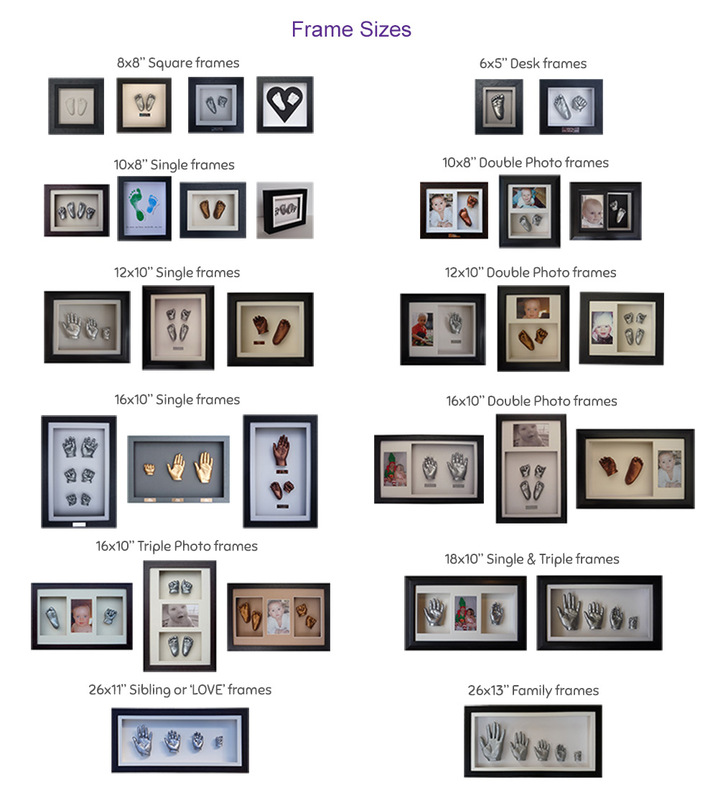 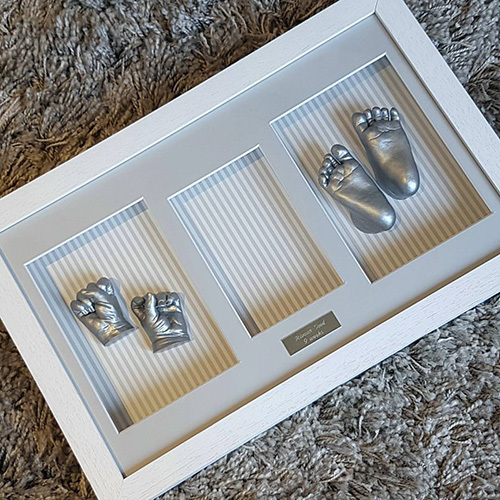 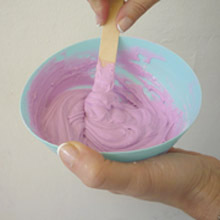 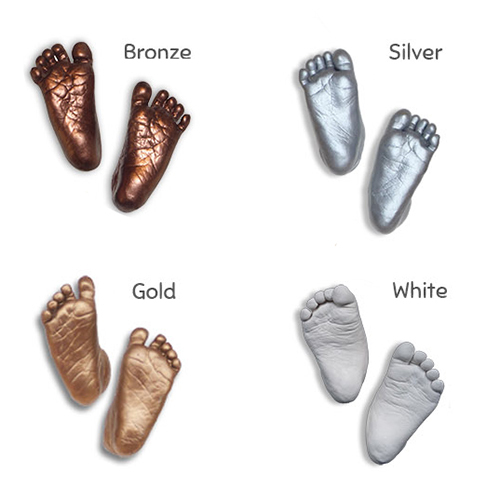 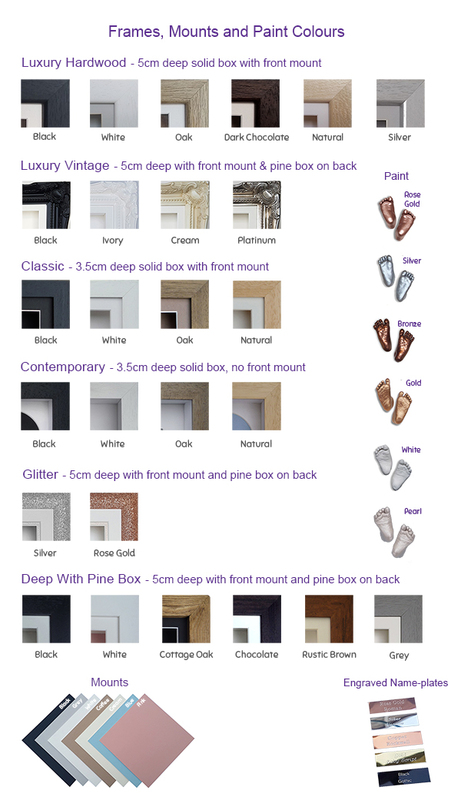 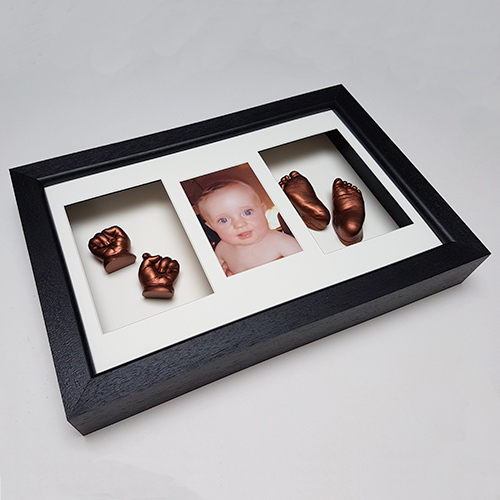 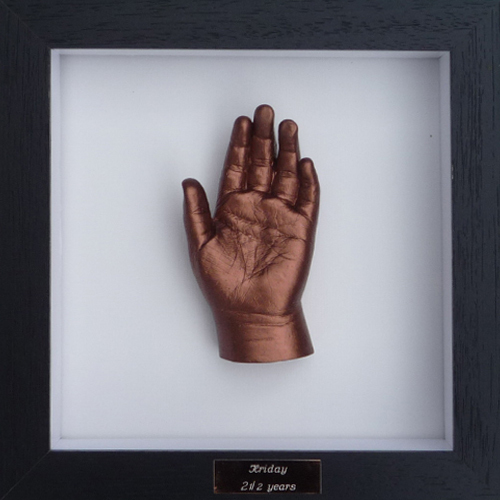 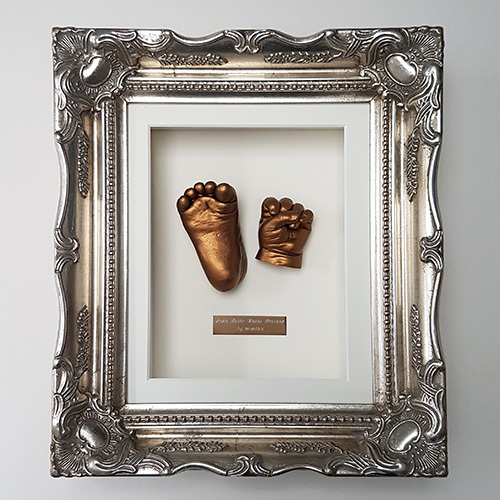 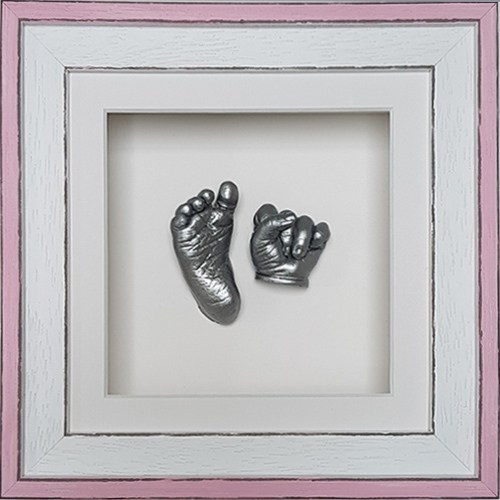 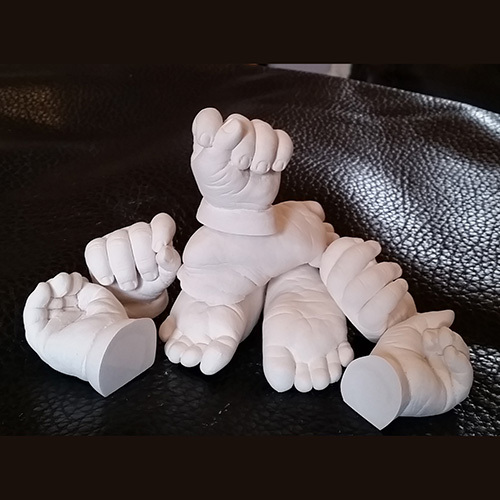 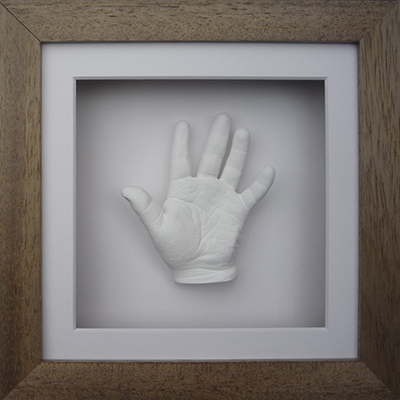 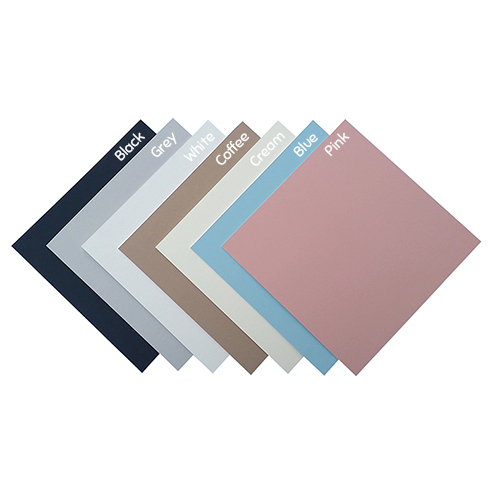 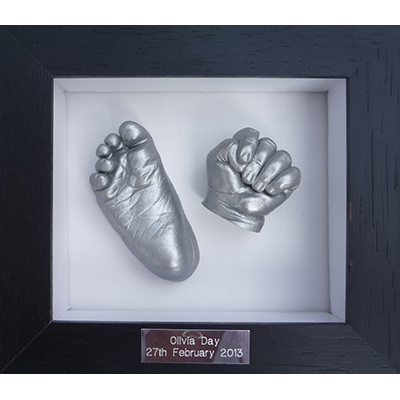 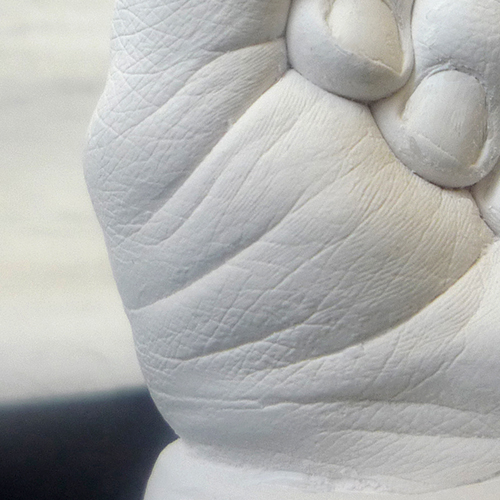 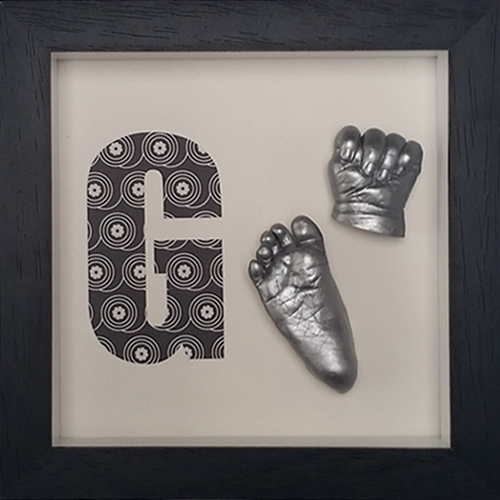 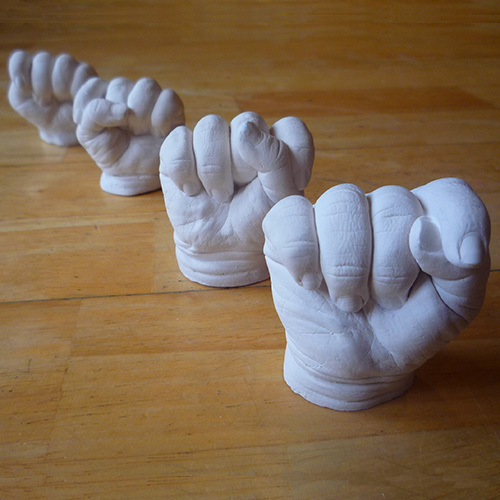 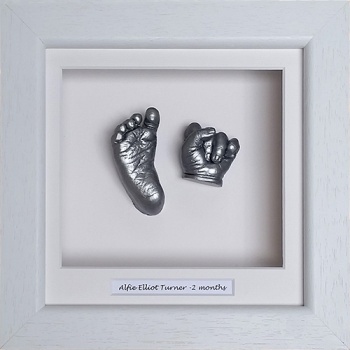 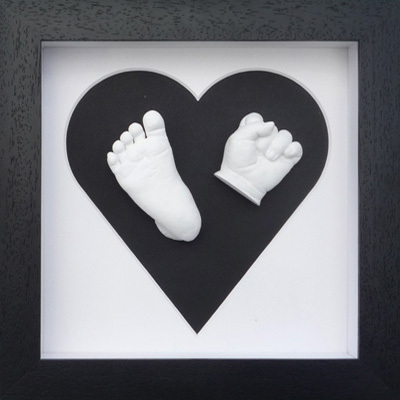 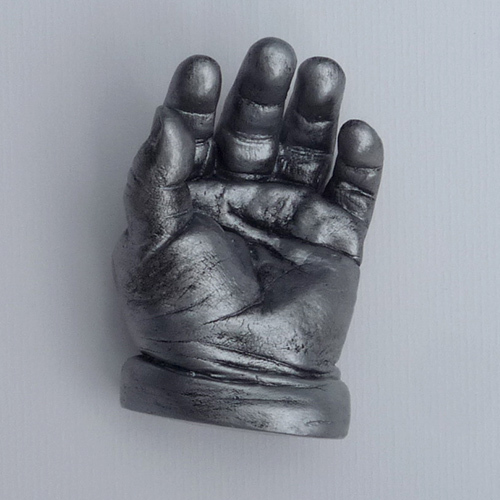 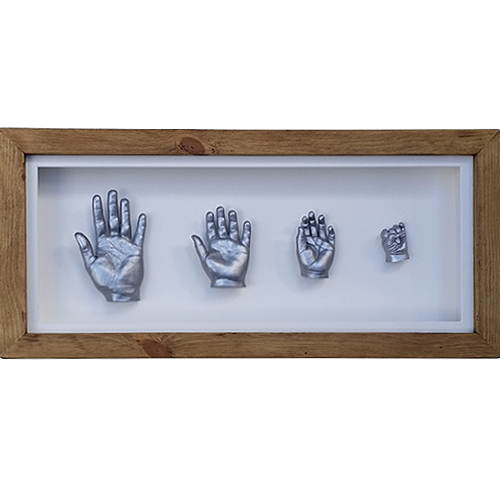 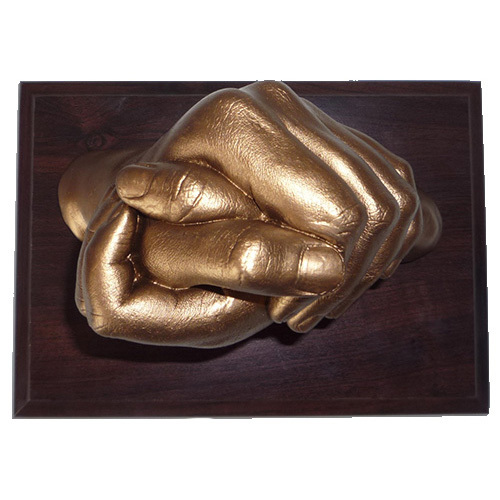 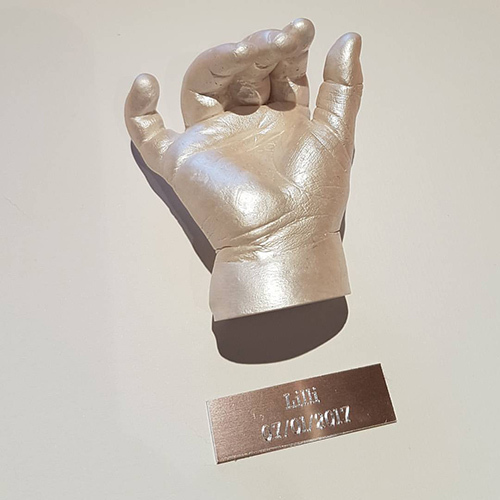 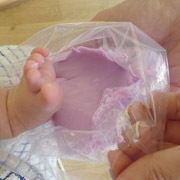 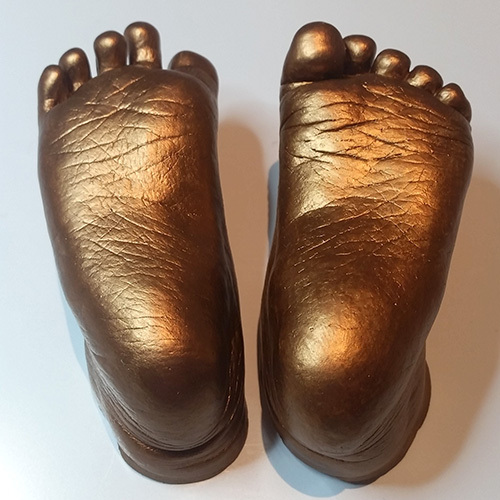 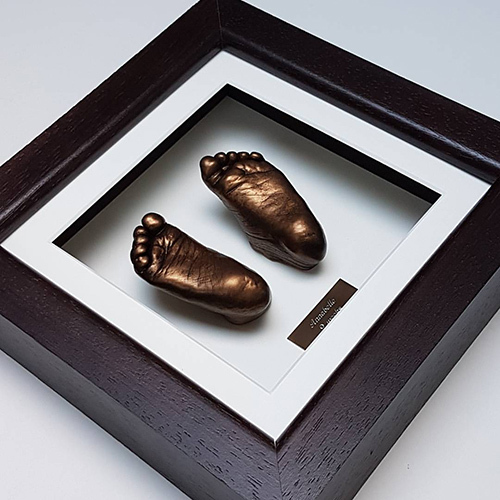 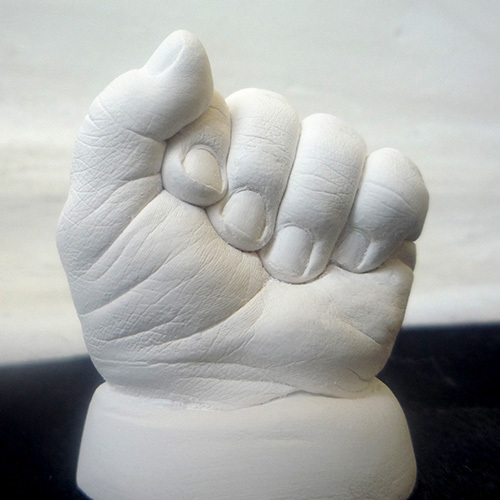 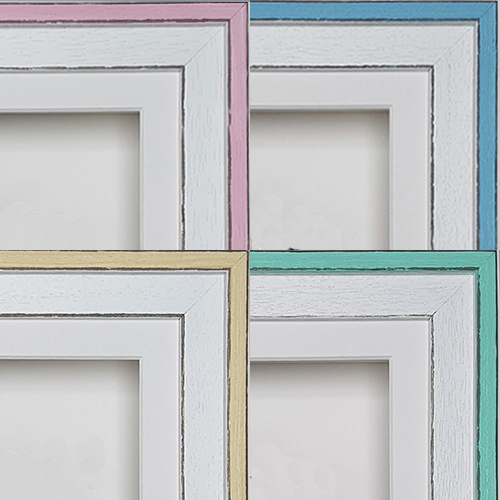 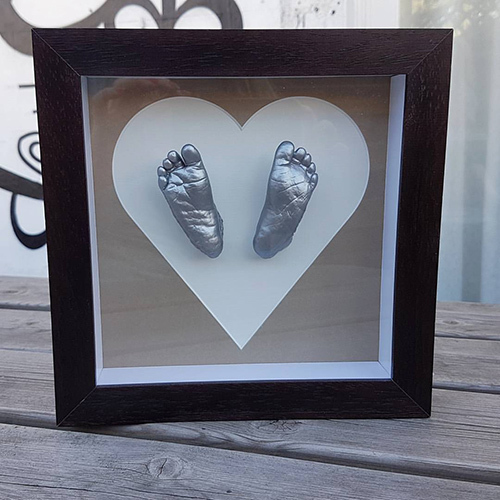 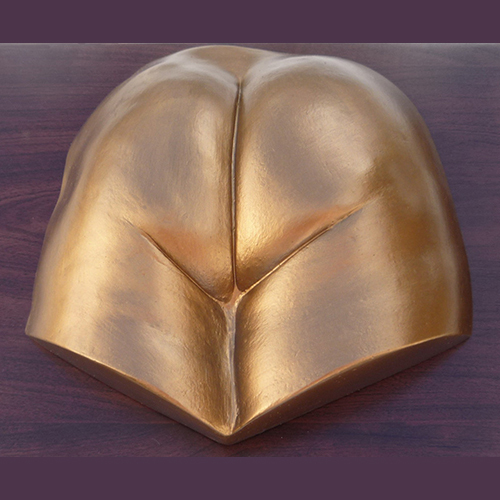 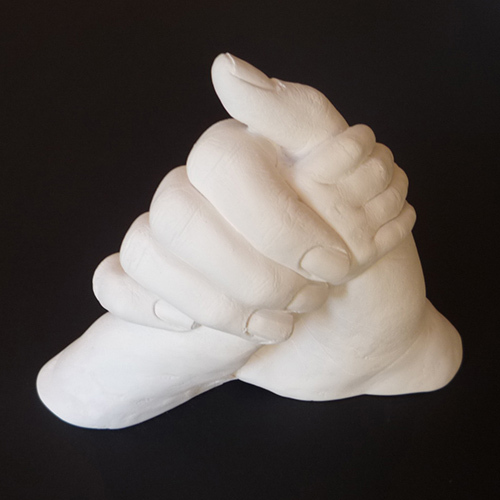 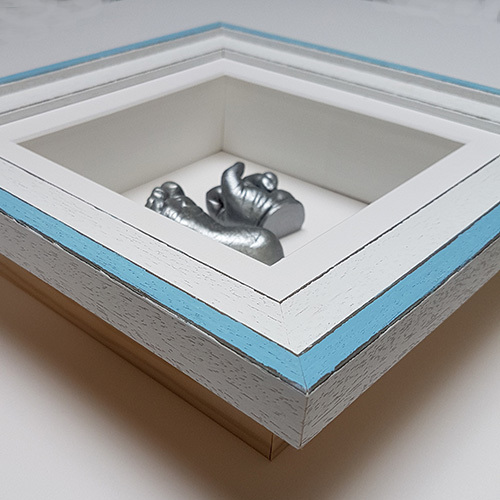 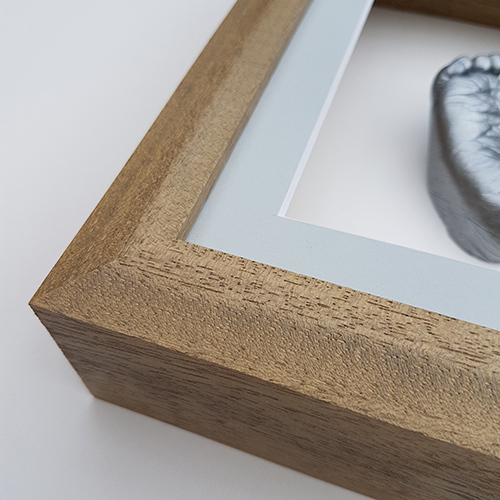 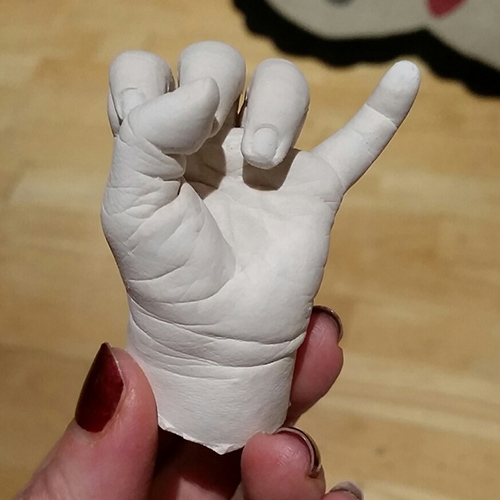 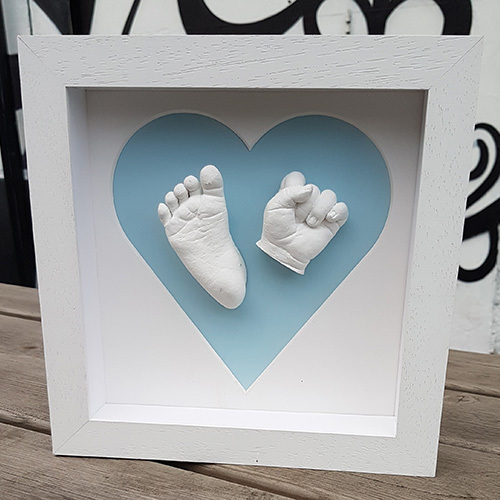 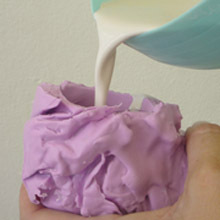 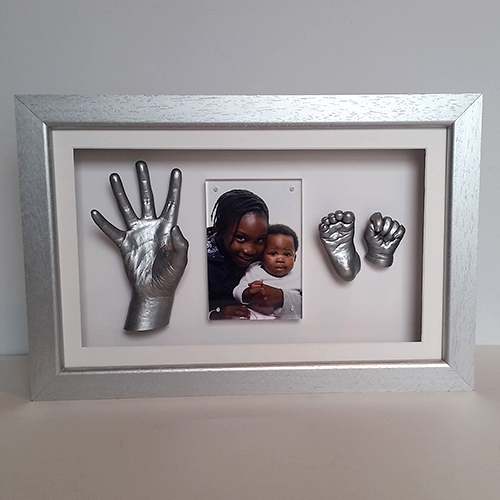 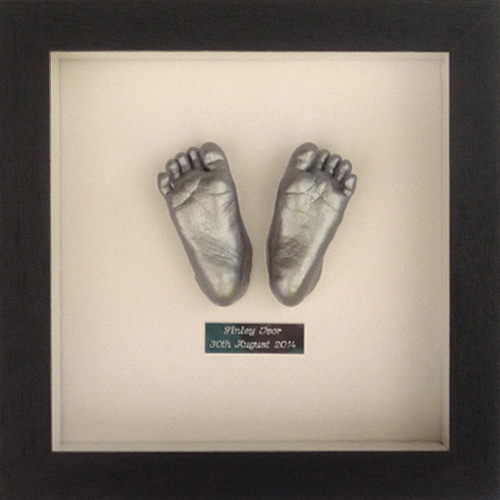 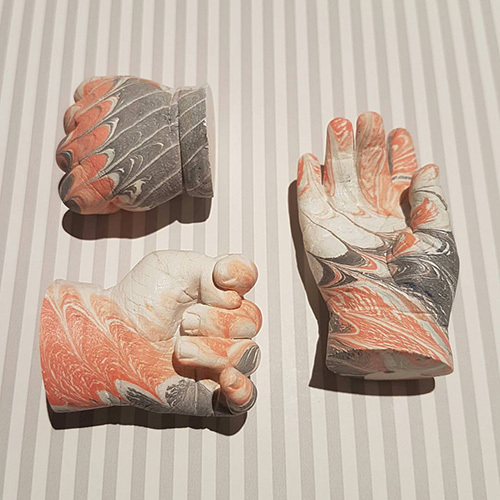 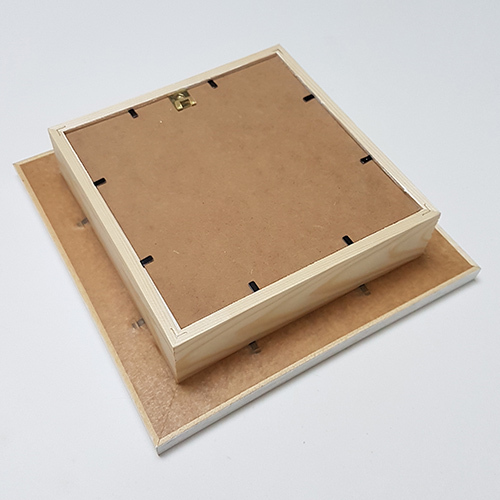 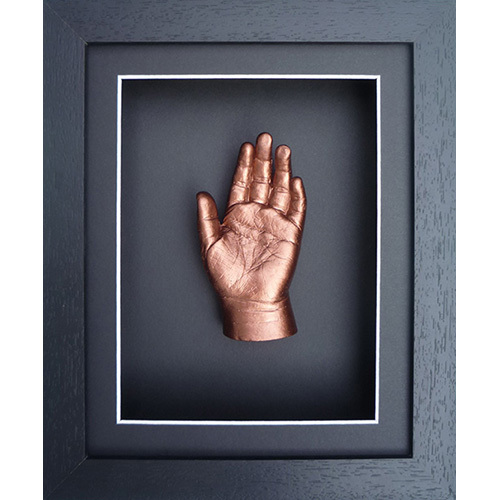 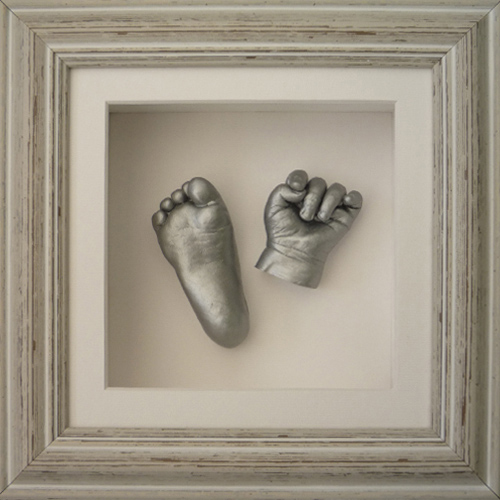 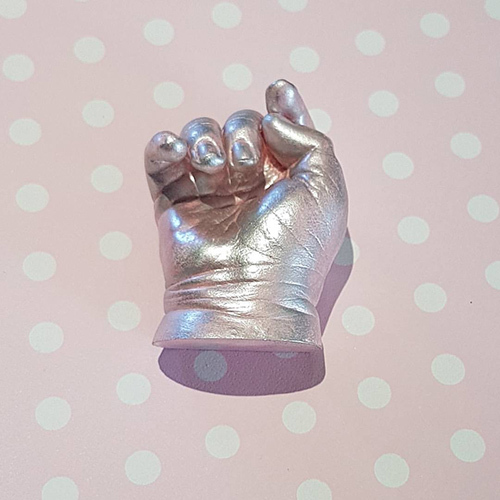 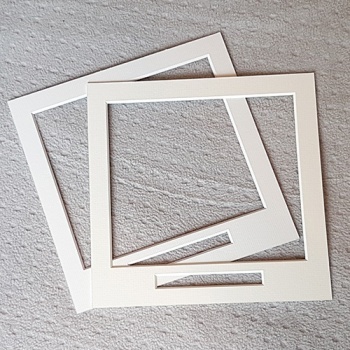 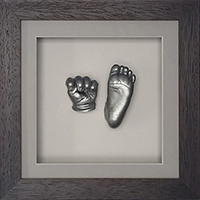 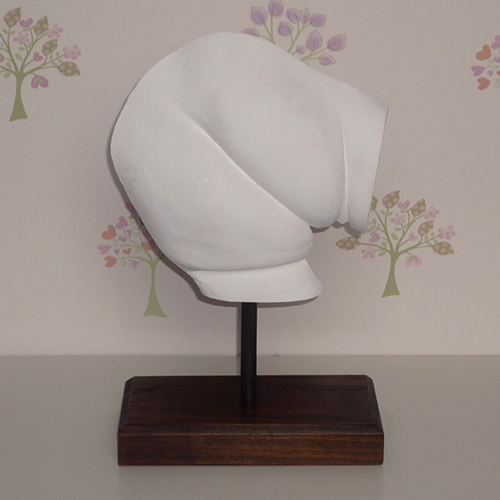 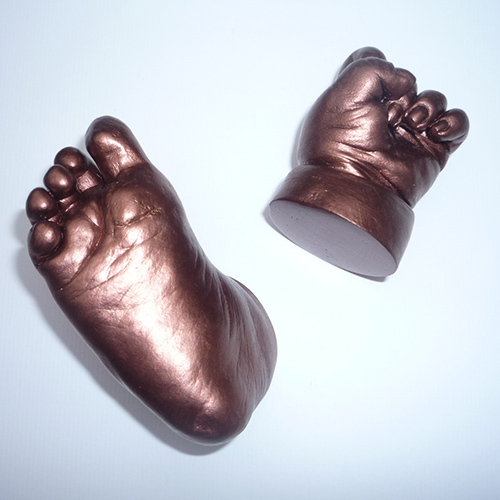 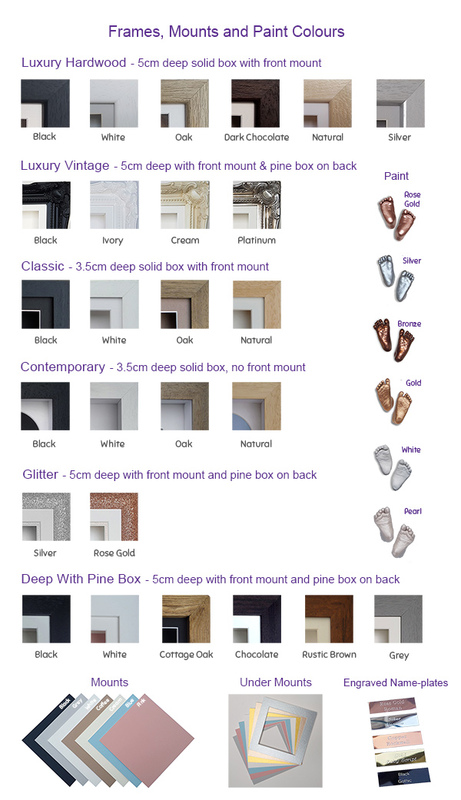 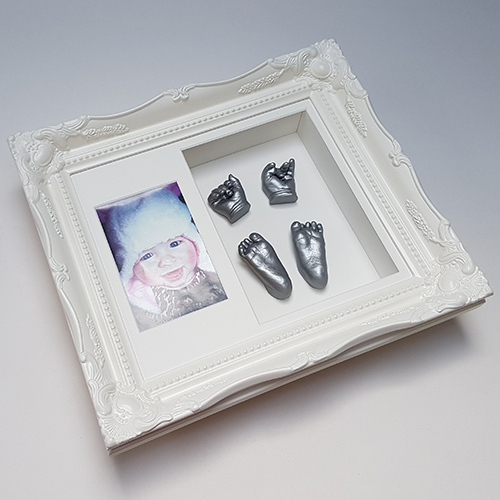 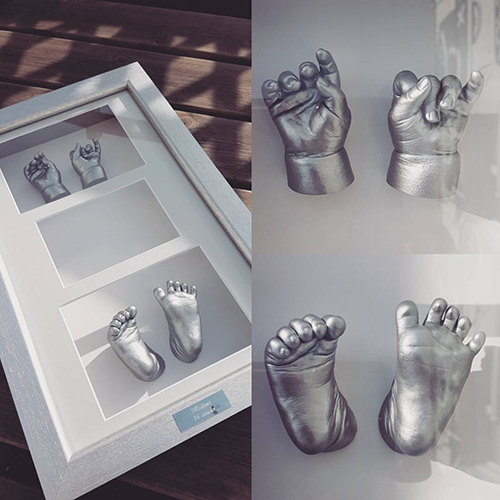 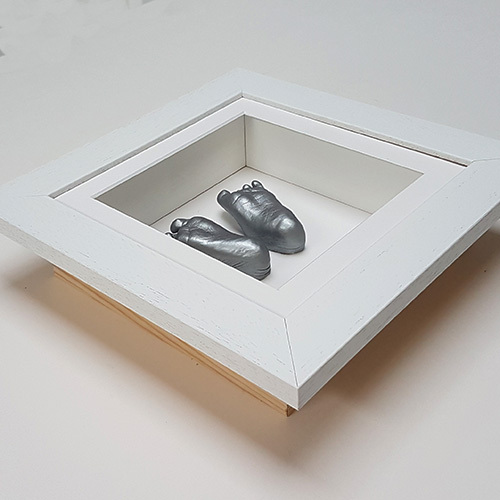 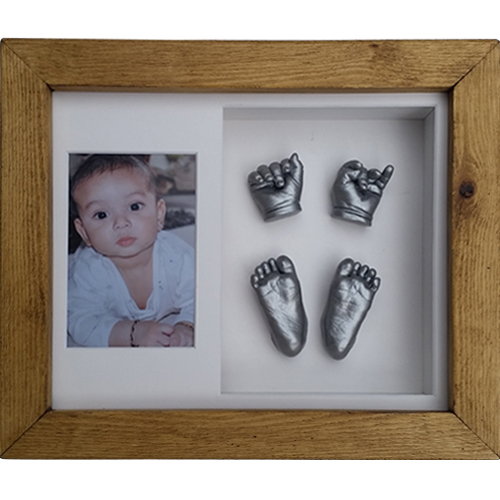 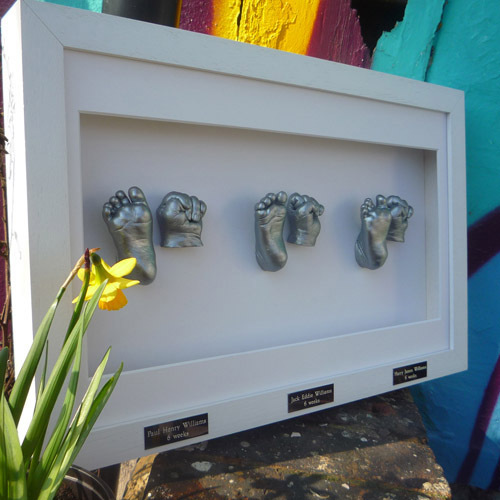 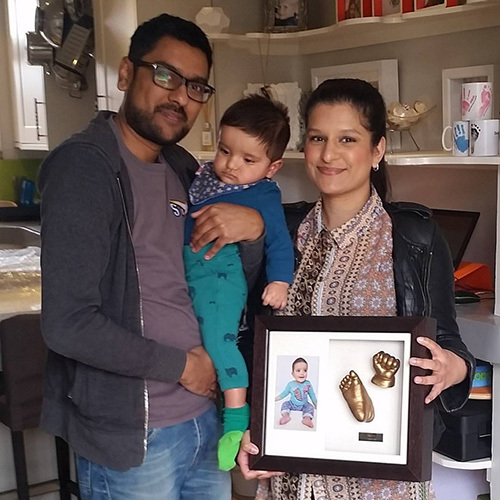 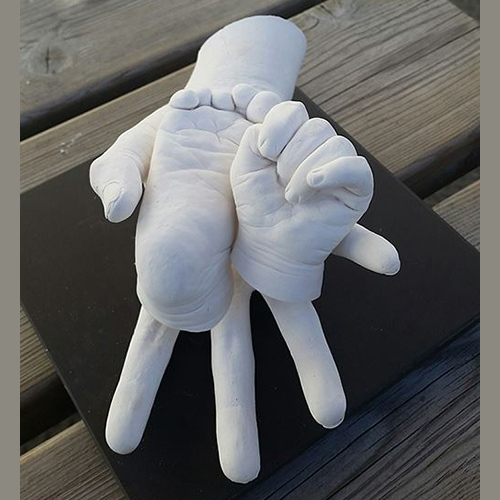 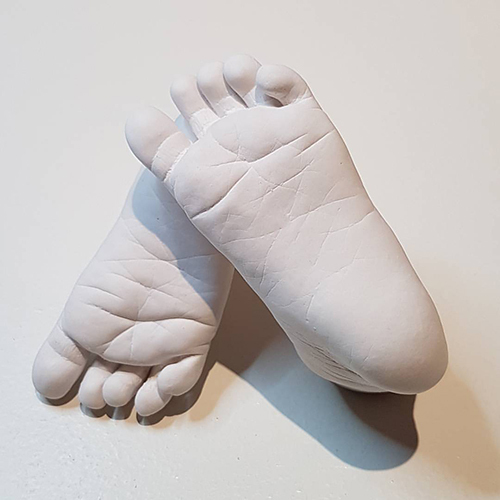 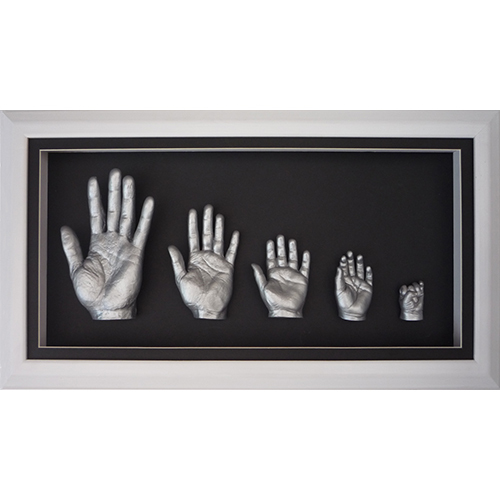 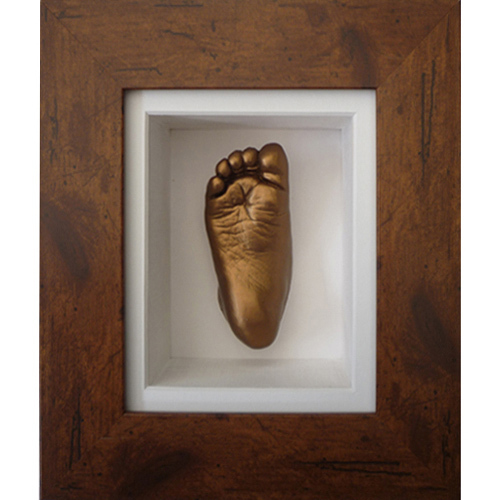 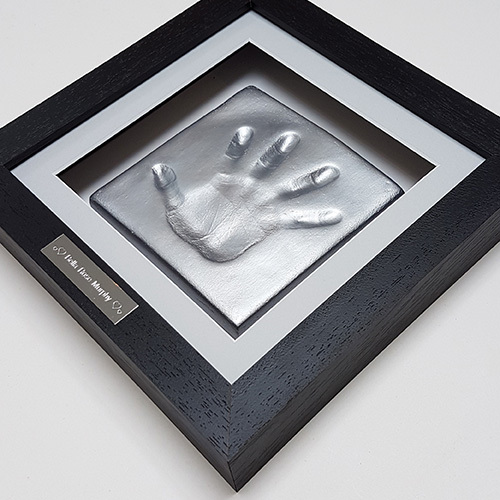 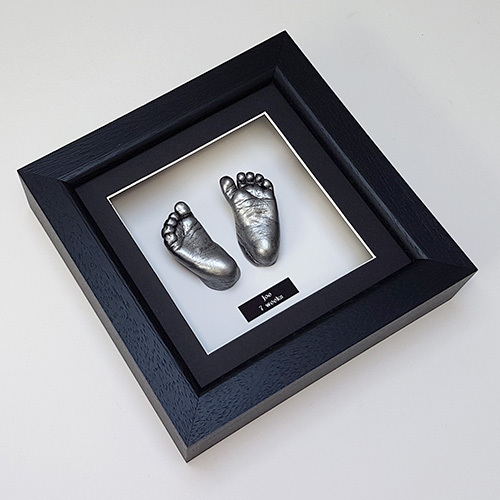 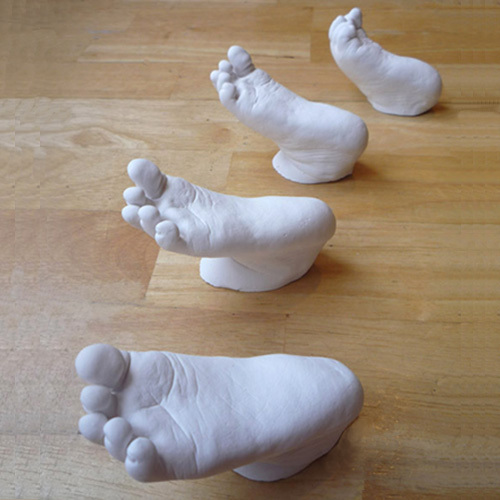 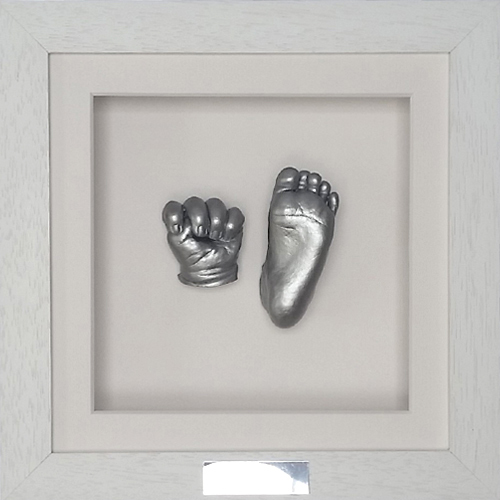 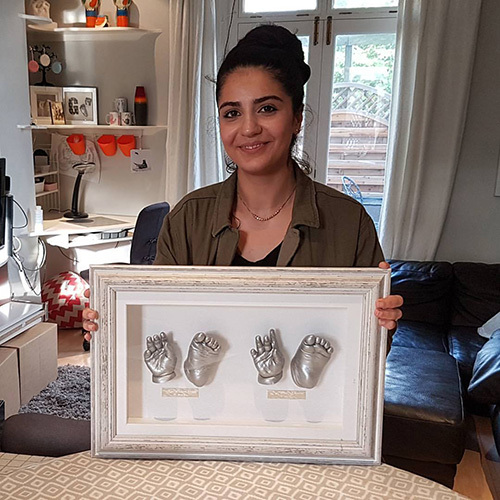 A baby hand and foot casting kit with a 8x8" box frame and front mount with name space including materials for up to 8 hand or foot casts with your choice of paint. 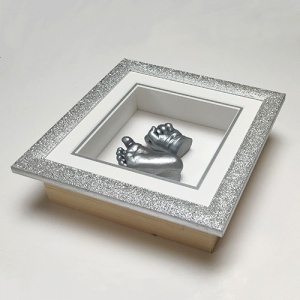 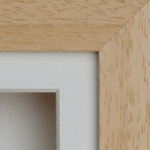 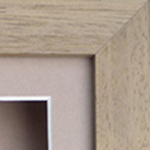 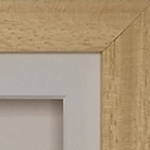 Larger aperture measures 16.5 x 14.7 cm - enough room for 2 casts of a baby up to 1 year. 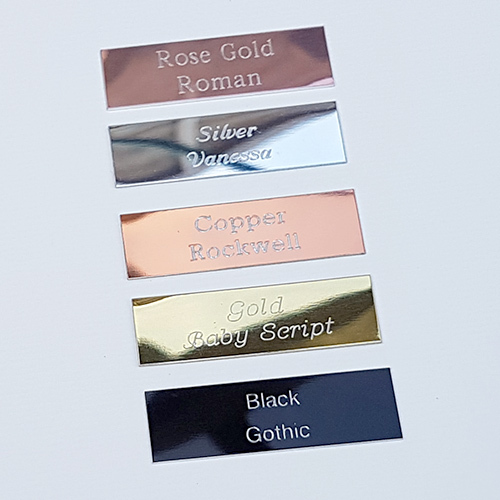 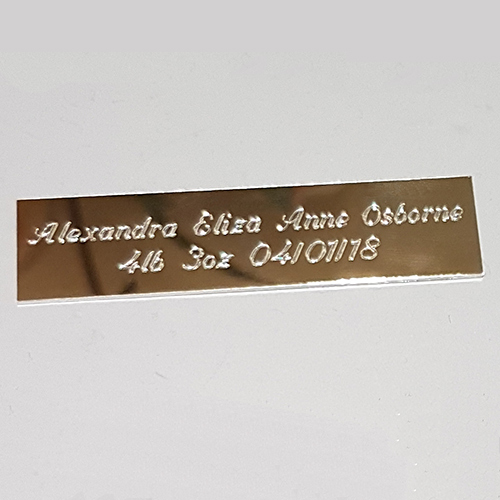 You can print out the writing for the name space from PC or hand write it on some card and stick it to te back of the mount.